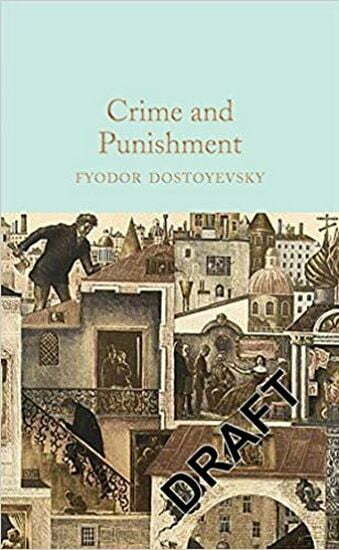 Crime and Punishment is the story of a brutal double murder and its aftermath. Raskolnikov, a poor student, kills a pawnbroker and her sister, and then has to face up to the moral consequences of his actions. The novel is compelling and rewarding, full of meaning and symbolism, and raises profound questions about the individual and society, and the nature of free will. Translated by Constance Garnett, with an Afterword by Oliver Francis. Designed to appeal to the book lover, the Macmillan Collector's Library is a series of beautifully bound pocket-sized gift editions of much loved classic titles. Bound in real cloth, printed on high quality paper, and featuring ribbon markers and gilt edges, Macmillan Collector's Library are books to love and treasure.